Debt avalanche - Does it benefit more financially? I have come to know about debt snowball and avalanche. I am thinking to use debt snowball since I can repay debts fast. But, can anyone help me out with debt avalanche - How can I be financially benefited more by using debt avalanche? or is it like that ultimately it's same to follow snowball or avalanche. Both are not same. 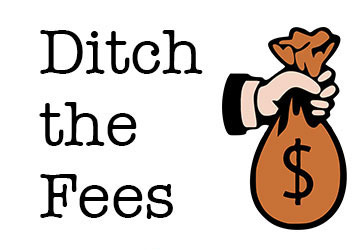 In debt avalanche, you start paying off your debts from highest interest rate to lowest rate. You pay the minimum on all your debts but also make additional payments on the debt with highest interest rate till it is completely paid off. Once done, you can focus on the debt with second highest interest rate. Snowball gives you psychological boost since it's easier to pay off smallest debt. Debt avalanche is good since you're getting rid of your highest interest debt fast. Debt avalanche definitely benefits you more financially since you're targeting the highest interest debt and the interest accrues for the months till you're able to pay it off completely. However, if you want to remain motivated until you repay the last cent, you can use both the methods together - like paying off some debts with the snowball, especially the ones with the smaller outstanding balances, and using avalanche for the highest interest debts. If the highest interest rate debt is troubling you, then go for debt avalanche. Since you want to pay off debt fast, it will be the best option. Make sure, you make some additional payment as well with paying the minimum on the rest of the debts.